The largest retailer of ‘natural’ and ‘organic’ foods in the US just gave up fighting against GE crops (a.k.a Genetically Modified organisms or GMO). Now, why would a giant like Whole Foods, the champion of all things natural and healthy would do such a thing? Well, they say, because 2/3 of the products they sell contain some form of GMO products and that they are not labelled as such. 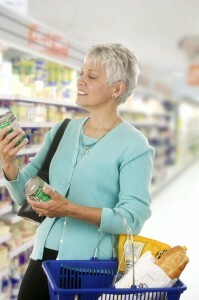 Many products touted as natural are actually conventional products, processed like the others. So why fussing about this! Great, if the bar wasn’t low enough, now let’s take the bar down completely! main culprits here and they have found they way into so many products these days. So if Whole Foods were to be a no GMO store, they would have to get ridd of lots of products and that doesn’t bid well to the bottom line. We get that. Monsanto) pours into buying public officials, seats in the USDA, the media and the scientific community, it has flat out failed in Europe (they know what is good for them and what is not!) but giants don’t take no for answer, so they set shop elsewhere, like Brazil, China, Spain, Africa, where greedy, gullible and desperate people bought their lies. 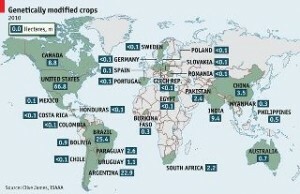 Don’t take my word for it, check the map below to see who is growing GMO crops! Start with the US, then look around. Not so popular anywhere else where people seem to care about what they grow and ingest ! What’s wrong with Americans? all the magic we need. 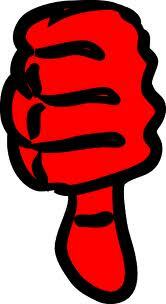 It is the scientific mind in all of its arrogance that thinks it can do better. But when you look closely, all you will see, is a trail of tears and blood. Tears, because farmers using these seeds end up bankrupt from all the chemicals they have to buy just to be able to grow these seeds (and these are good size agro-businesses, the little farmers are on the extinction list!) And blood because thousands of farmers in India, for example, have committed suicide, because a slight drought devastated their crops and nothing was produced year after year (but they still need to pay the loan for the seeds and the fertilizers). Not so magic after all but who is talking about this? The picture isn’t pretty. Wait, the horror movie doesn’t end here, GMO contamination can also take you to court because these GM seeds are patented! If your neighbor happens to be growing GMO seeds and the wind happens to blow them in your fields, then you owe money to the seed manufacturer for growing their franken seeds. How did we let this happen? So as we get sicker, fatter and more tired, when are we, the American people, going to fight for what is right for us and our children? I hate doing the “us” and “them” game, but if the multinational corporations had a ounce of conscience and responsibility, we wouldn’t be in this position in the first place, would we? Billions of people Vs a handful of powerful corporations. lose? Let’s see, what is left of our health and that of our children, local food safety and our right to healthy and nutritious food. 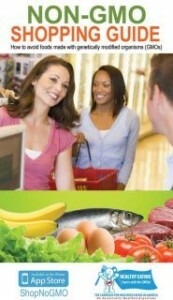 In the meantime, you can download a free guide to GMO free food. Here is a list of non GMO seeds companies in case you are looking for non-GMO seeds for you garden. Another great book to read on this is Seeds of Deception, by Jeffrey Smith.